Coghlan, Rose (1853-1932) was born in Peterborough, England. Her father was Francis Coghlan the publisher of Coghlan’s Continental Guides and a friend of Dickens. Her brother was Charles Coghlan who was brought to America by Augustine Daly to be apart of his company. She made her theatrical debut when she was a child as one of the three sisters in a Scottish production Macbeth. Soon after she acted in support of Adelaide Neilson and J.E Toole. Rose first came to America in 1871 to play in burlesque with Lydia Thompson and her British Blondes. The following year E.H. Sothern brought the nineteen year old back to America. 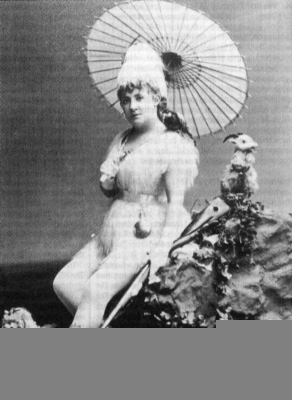 During the 1872-73 season she appeared in supporting roles with Wallack’s company. With Sothern she acted in the trinity of Dundreary comedies: Our American Cousin, Brother Sam and Dundreary Married and Settled. Four years followed in England during which time she acted with Charles Mathews, Joseph Jefferson and Barry Sullivan; toured the provinces in A School for Scandal, Twelfth Night and East Lynne; and created Lady Manden in All For Her and acted in it four hundred nights at the St. James Theatre. She came back to America and Wallack’s in 1877, where she reigned as leading lady for eleven years during the 1880’s until the company disbanded in 1888. 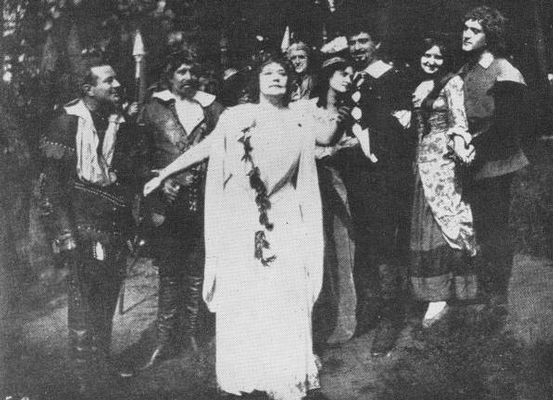 When the celebrated company was assembled to perform Hamlet on Mr. Wallack’s retirement from the stage on May 21, 1888, Miss Coghlan acted the player Queen. Her Lady Teazle and Rosalind were declared "unsurpassed" on the American stage. She appeared in Boucicault’s Marriage, Sardou’s Diplomacy and A Scrap of Paper, Clarissa Harlowe, The Silver King and Lady Clare. During the 1890s and 1900s she appeared mostly in England. 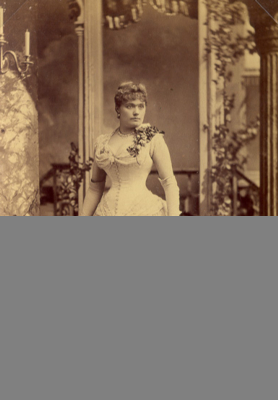 But in 1893 she headed her own company and produced the first American production of Oscar Wilde’s A Woman of No Importance, playing Mrs. Arbuthnot. And in 1908 she toured the United States in a controversial production of Shaw’s Mrs. Warren’s Profession. Afterwards she played opposite John Drew and Mary Boland in Summerset Maugham’s Jack Straw. During the 1909-10 season she joined a repertory company at the New Theatre where she was seen as Mrs. Candour, Mistress Page and Paulina. Her last important roles were the Duchess of Saurennes in Maugham’s Our Betters (1917) and Madame Rabouin in Deburau (1920). When she retired in 1921 at the age of 68 she had complete a stage career of more than 52 years. On July 24, 1892, Joe played "Orlando" in As You Like It opposite Rose Coghlan in an open-air production on the lawn at the Hotel Kenmawr in Pittsburgh. This unique summer theatre offering received major press coverage in the New York Times. The Forest of Arden was represented by three large trees and evergreen branches placed around the stage. There was a line of incandescent lights on the ground forming footlights and fifteen calcium lamps on either side of the stage flooded the playing area. A storm erupted right before curtain, and a steady rain fell throughout the first act. The audience (some one thousand from the highest circles of Pittsburgh society) raised umbrellas and hung in till the second act when the skies cleared. Joe was quite famous for his "Orlando." He played romantic comedy lightly and charmingly, and he was an excellent physical actor who performed the wrestling scene impressively. Joe’s brother William played "Oliver," the abusive older brother of "Orlando." 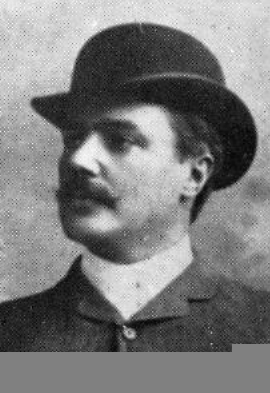 William Haworth was then at the peak of his fame as an actor having scored a huge New York success in his play Ferncliff. Miss Coghlan herself was in top form that night in Pittsburgh. She was frequently interrupted by enthusiastic demonstrations from the audience, and her voice projected in the open air as clearly as in a theatre.